The origin of Buddhism can be traced back to the late 6th century BC, in India. Founded by Prince Siddhartha Gautama (the Buddha), Buddhism was widely accepted by people across India. In the early 20th century, the Dalai Lama (Buddhist religious leader) came from Tibet to India, along with several thousand followers, further strengthening the Buddhist movement in the country. So, it’s little wonder that there are a myriad of Buddhist monasteries scattered throughout the country, rich in architecture, history and spirituality. We take a look at some of the most famous. Set at an elevation of 1,500 meters on an enchanting hill overlooking Gangtok city, Rumtek monastery was built in the 9th century, and further re-built in the 20th century. It is the largest monastery in Sikkim and is shrouded in the controversy of Karmapa, which means there is a always a high security presence here. 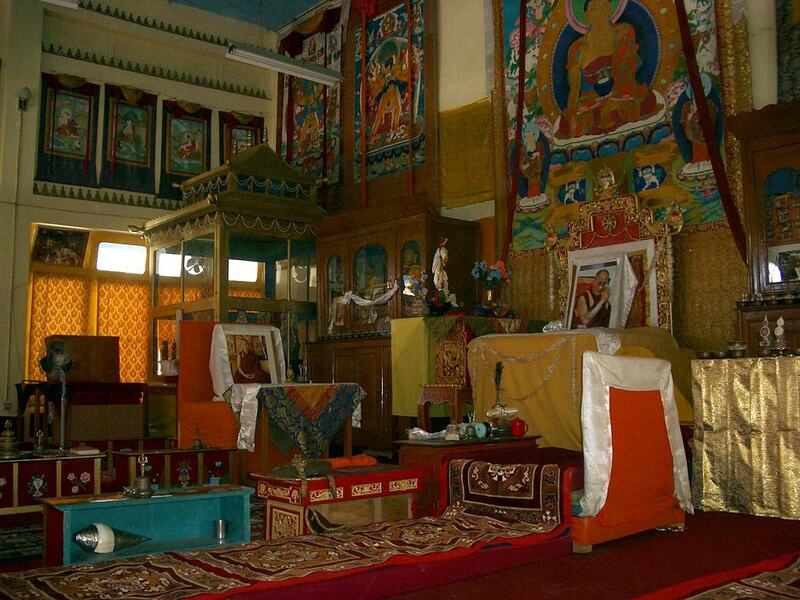 This monastery belongs to the Kagyu lineage and serves as a seat of the 16th Karmapa. The backdrop of beautiful waterfalls and majestic mountains add to its charm. The main motif comprises of a huge prayer hall that is adorned with stunning murals, tangkhas and statues. 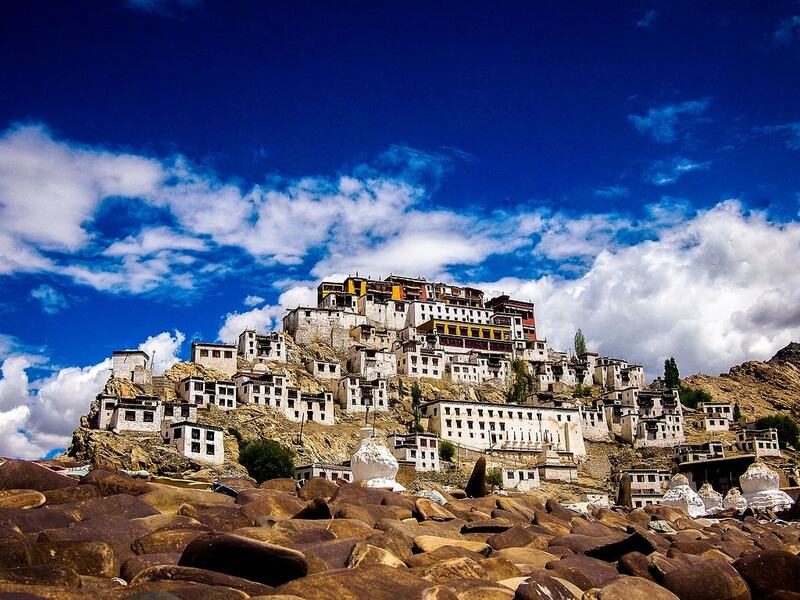 Aside from the monastery, the Lingdum Gompa and the Rumtek Gompa are must-sees. Plenty of chanting and rituals are held every day that you can partake in, and attain a sense of inner peace. If you happen to be in the region during Tibetan New Year, you can witness the masked dance festival held here. 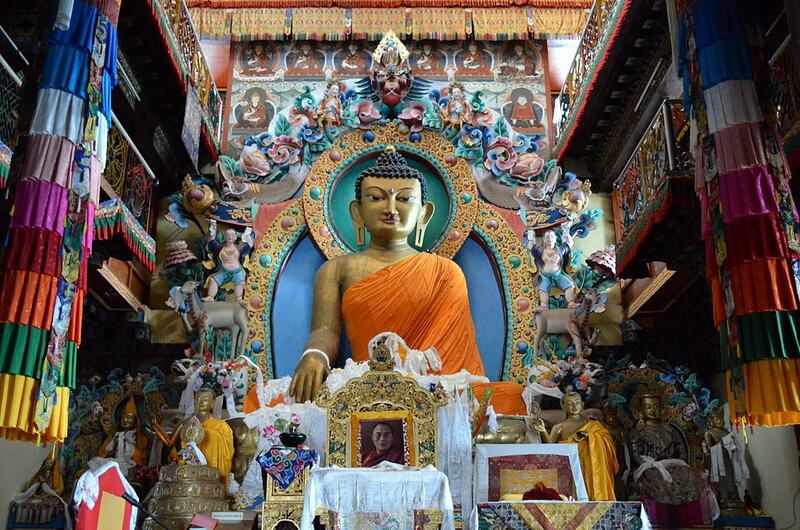 At 3,000 metres in the shadow of the snow-laden mountains and encircled by steep ravines lies the largest monastery in India – the Tawang monastery. Also referred as the ‘Golden Namgey Lhatse’, this monastery is said to be 400 years old. One of the most striking features is its architecture – it is a three-story hut-like structure, complete with a 282 metre-long wall of stone masonry. 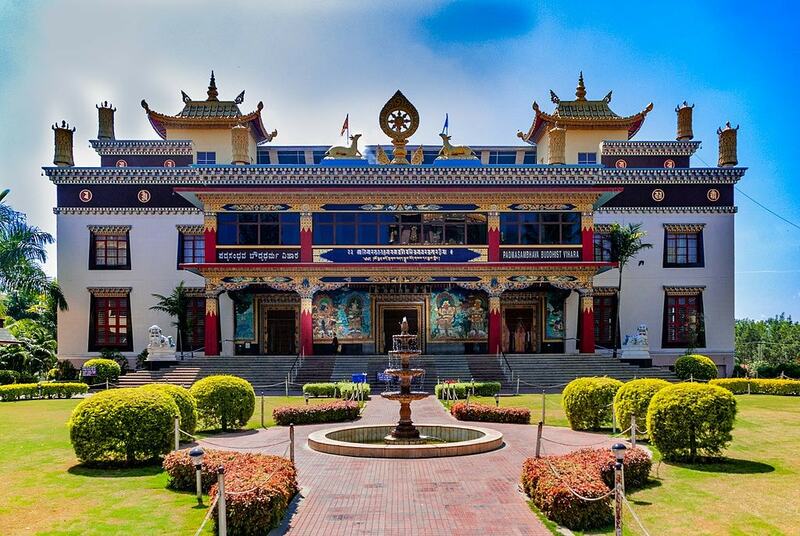 Explore the main building that is in the form of a huge mansion housing 65 residential homes both for monks and lamas. 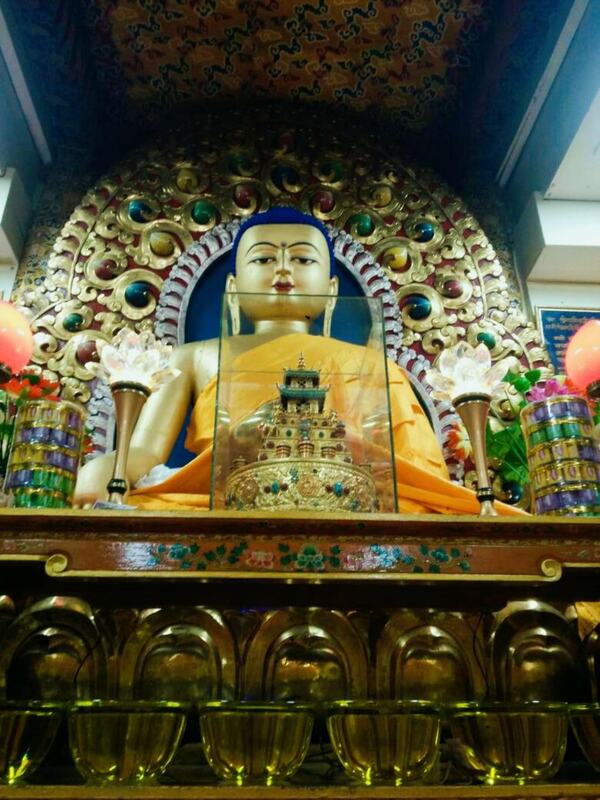 Within the building lies the main temple (Dukhang) that features a 5.5 metre-long Lord Buddha statue. Also, be sure to check out the library that contains the old and unique scriptures of the Buddhist teachings. 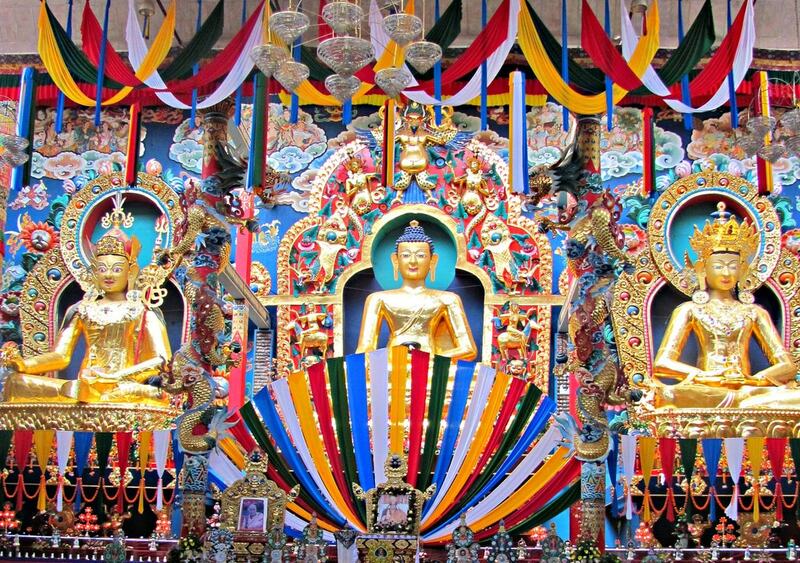 Festivals are important at this monastery – Torgya and Losar festivals are the main ones. 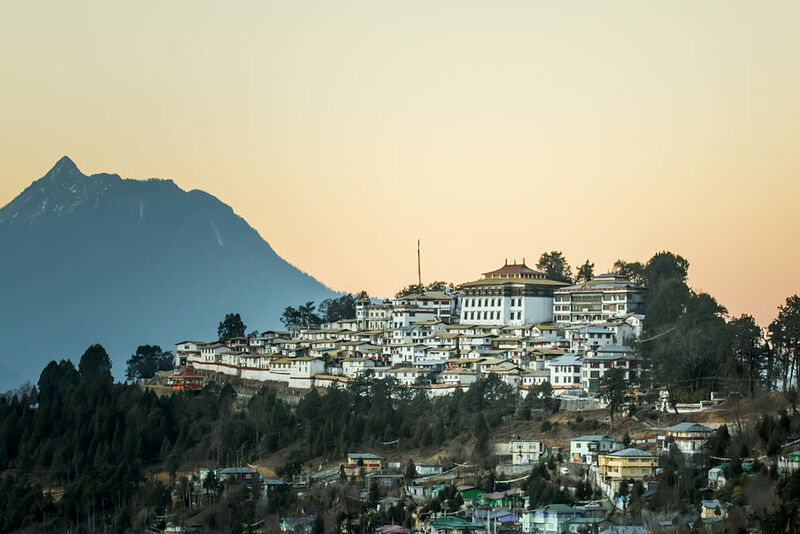 This monastery offers scenic vistas of the Tawang river valley that consists of evergreen forests and snow-capped mountains. 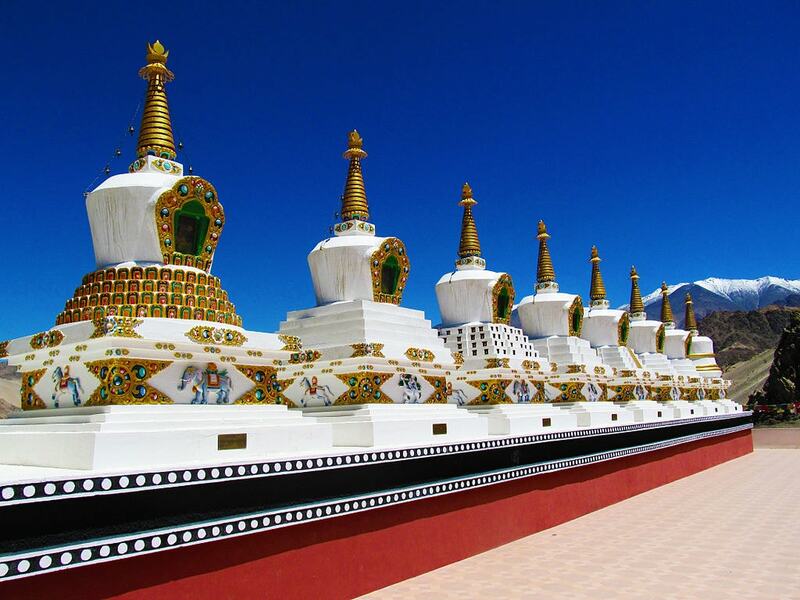 Lamayuru Monastery is a secluded monastery that is located on the Srinagar-Leh highway. Picturesque mountains form the backdrop of this monastery that stands at an elevation of 3,510 meters. The complex, though, lies in ruins, but the prayer hall of the monastery is unscathed. There are caves, three stupas and a main temple. Visitors can stay in a tiny hotel that is located along its boundaries and authentic Tibetan cuisine is on offer. 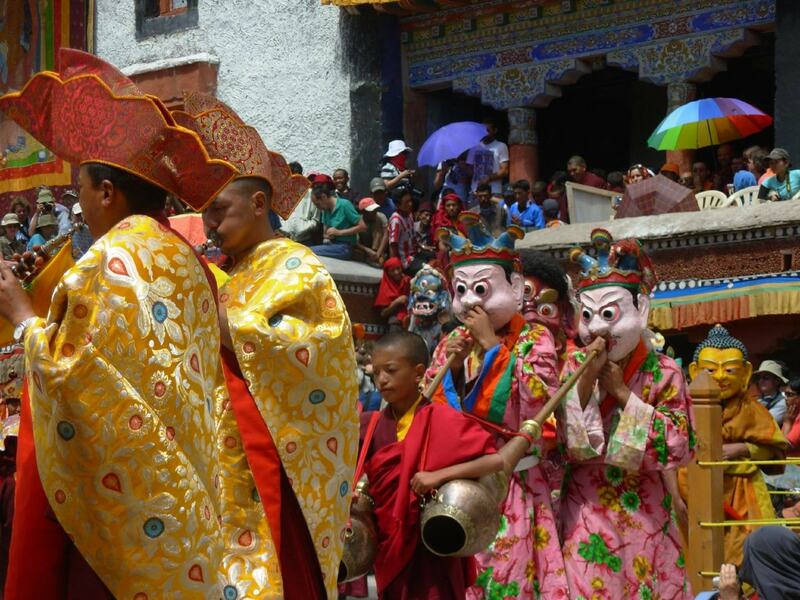 The main attraction is the Yuru Kabgyat – a two-day cultural festival held in the second month of the Tibetan lunar calendar and involves masked dance by the lamas. Lamayuru Monastery, Lamayuru, Jammu and Kashmir. Phugtal literally translate to ‘through Cave’, hence this monastery is established at the mouth of a cave, and during monsoon, water gushes down from the cave mouth – it is truly a sight to behold. Visitors are required to trek their way, passing through a suspension bridge, to reach this monastery, which is located in the one of the most scenic Zanskar region. The trek is challenging, but when you see a beautiful bunch of tiny huts placed in a honeycomb shape and the serene surroundings, you’ll realise it was all worth it. There are numerous prayer rooms and a library, and the walls are adorned with paintings. The highlight is the frescoes on the ceilings that depict Buddhist culture and art and are still in great condition. 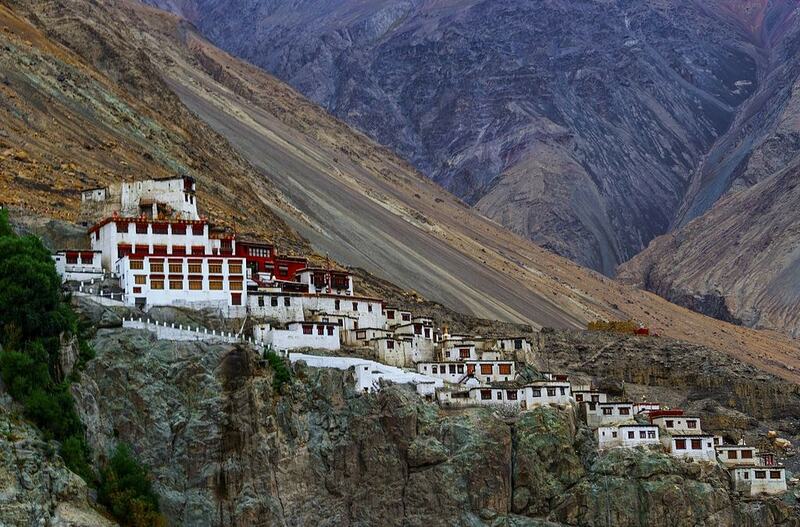 Perched atop a hill at an elevation of 3,600 metres, Thikse monastery is the largest monastery in the Ladakh. It has 12 stories and features an assortment of items that reflect the art and culture of Buddhism, such as the thangkas, swords, wall murals, statues and chortens. The striking spot of the monastery is the Maitreya temple that has an enormous statue of Maitreya Buddha, towering 15 metres high. After being awestruck by the gigantic Buddha statue, you can explore the complex that houses 10 temples, a café, an assembly hall and a souvenir shop. Its mesmerising and scenic location amidst the rugged mountains, with panoramic views of the surroundings and well-preserved ancient artefacts, makes it worthy of a visit. Best time to visit: May – September; routes are closed in winters due to heavy snow. 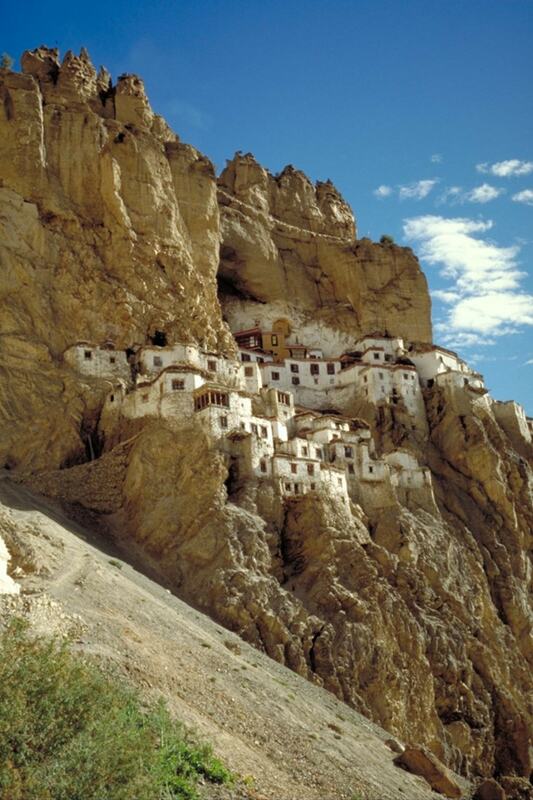 Located in the picturesque Spiti Valley, Tabo monastery is one of the oldest monasteries in the country built in 996 AD. In 1975, an earthquake destroyed the monastery, but it was restored in the 20th century. Inside the complex, there are nine temples, four stupas dating back to the 13th, 14th and 15th centuries, monks chamber, nun’s residence, and 23 chortens. The monastery has an amazing interior, complete with wall frescoes, murals, manuscripts and thankas that depict the stories from the Buddhist pantheons. The main highlights of the monastery are the Chamber of Picture Treasures, the Enlightened Gods’ temple, and the meditation caves that are carved out of the mountains and you can spend some time in solitude in these caves. Also, these caves are said to be the home of the monks during winters when the temperature plummets drastically. There is accommodation on offer near the monastery for visitors. Dating back to the 11th century, Hemis monastery is known for its unique architectural style, spiritual retreat with lamas, and the Hemis festival that is held in June and July and involves ancient rituals and masked dance. Scenic landscape encircles the monastery, and the vast collection of ancient relics, thangkas and statues inside it lends an air of tranquillity. It is frequented by devotees and tourists from across the world. 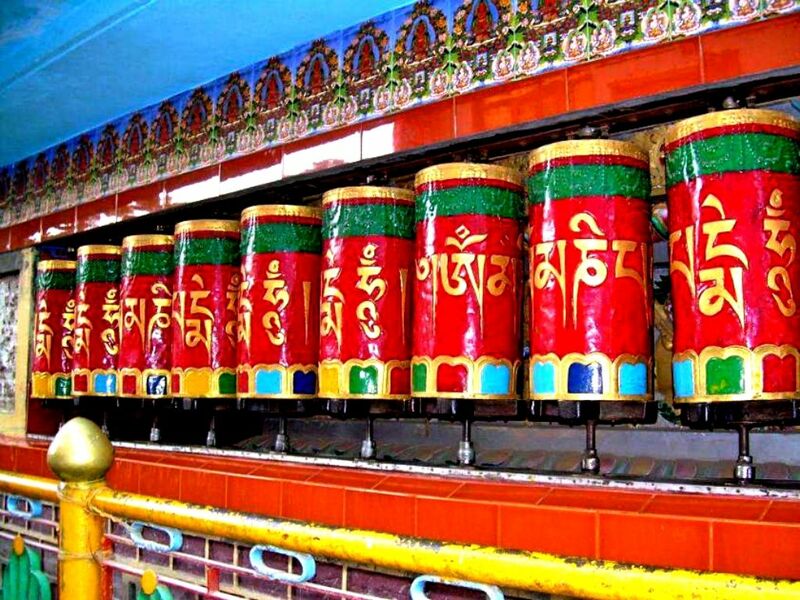 If you’re down south, make sure to pay reverence at the Namdroling monastery. The highlight of the site is the 18 metre-tall gold statue of Buddha inside the Golden temple. Also, there are paintings with gold work and ancient relics that depict Tibetan gods and demons, as well as Buddhist culture. 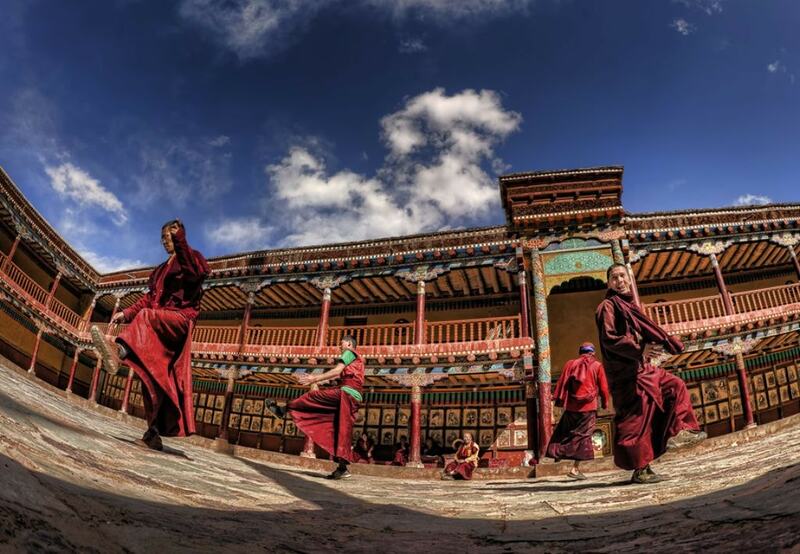 This monastery is home to 5,000 nuns and monks, making it one of the largest Tibetan settlements in the country. The Tsuglagkhang Complex is the place where his holiness, the Dalai Lama, resides. Every nook of this complex exudes a serene and spiritual vibe. The complex consists of the Namgyal monastery that was established in the 16th century and houses an enormous statue of Lord Buddha; the Tsuglagkhang Dalai Lama temple where you can walk along the Buddhist prayer wheels (spinning them is said to bring good karma); and the Tibetan museum that features Thangka images, sacred paintings, ancient relics and handicrafts that showcase Tibetan culture, tradition and art. You can take a spiritual walk inside the complex and catch a glimpse of the maroon-robed monks going about their everyday chores. There’s also a bookstore and café within the complex. 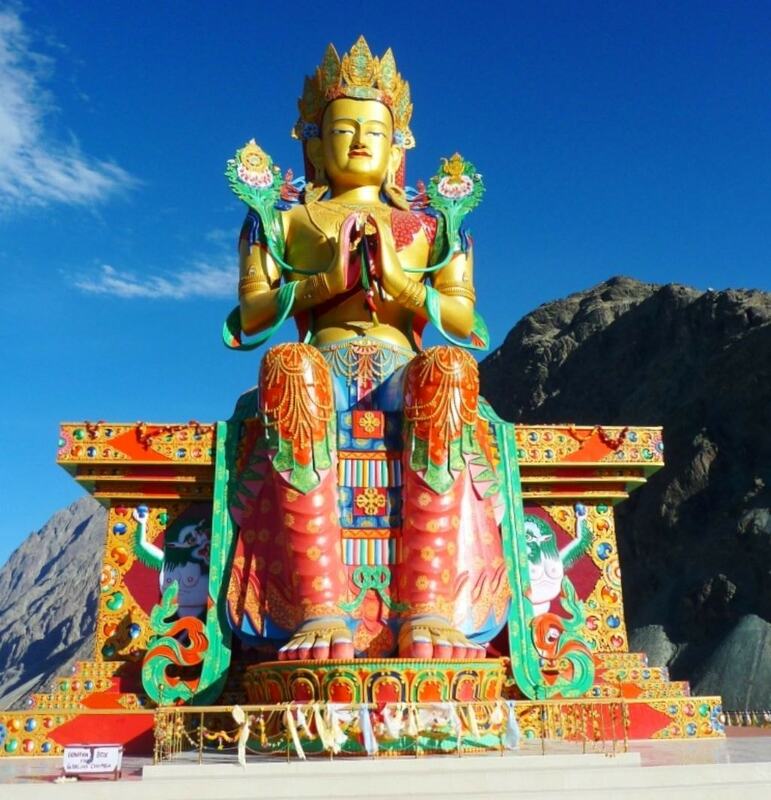 Diskit Gompa was established in the 14th century and is known for its 32 metre-high Jampa (Maitreya) Buddha statue. There are also huge drums and statues of guarding deities inside the prayer hall. Marvel at the ceiling, complete with paintings that represent the fresco of the Tibet’s Tashilhunpo Gompa. The panoramic views of the surrounding area and the Nubra valley from atop the monastery, add to the experience.